Motor Speedway in Loudon and this is arranged for June 11th - June 13th. the organisers want to make it a winner. I know that riders from all over the North America use this forum and hope that this post may get this event some additional exposure. I hope that the Festival is going to be televised. Otherwise pls consider coming to the event - the organisers would like to make it a major attraction for 3-wheelers. Thanks for posting the event. We'll try to pass the word and get as many people as we can to come to the event. I'm only 1 hour away from Loudon so I'll make plans myself to go. Look forward to meeting you guys there. 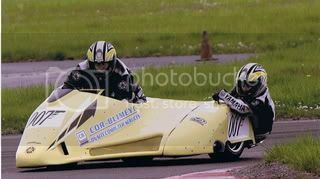 I've often thought it would be great if some of us could do a track day with our HP road sidecars. I'm friends with the track photographer and he's given me the name of a couple of people that run track days at Loudon that he thought might be able to work us in.